Phencyclidine (PCP) is a hallucinogen that was initially used in surgery as a general anesthetic. Due to the serious side effects of use, it is no longer used medicinally and became a Schedule II drug. According the Substance Abuse and Mental Health Administration’s survey in 2015, as many as 6,323,000 people have abused PCP in their lifetime. When a PCP addiction or dependency occurs, professional help is often required to help deal with the various PCP withdrawal symptoms through PCP treatment programs. In this article, we will discuss the various withdrawal symptoms associated with this dangerous drug and why they occur. Addiction is considered a disease, not just a choice that a person makes. Certain aspects can make someone more susceptible to forming a dependency to drugs or alcohol. Your environment can be a factor through the people you associate with (peer pressure), your family environment and your exposure to drugs or alcohol. Genetics also play an important role. If addiction is common in your family, then you are at a higher risk of addiction and it can increase the speed of an addiction forming. The presence of another mental disorder such as PTSD can also increase the risk of being addicted to drugs or alcohol. This is often because their mental disorder is untreated and the person tries to self-medicate through alcohol and drugs. As a user continues to abuse PCP, their brain chemistry begins to change by affecting the glutamate receptors, the sections that control pain, learning, memory and environmental perception. Dopamine, nicotinic and opioid receptors are also affected. A person prone to addiction may become reliant on the drug with repeated use. While not physically addictive like drugs such as heroin, PCP abuse can result in a psychological dependence, which can be just as hard to break as a physical addiction. A PCP addiction can be life-threatening if professional help is not found. 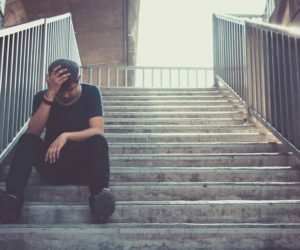 Even though the drug is not considered highly physically addictive, PCP withdrawal symptoms can be severe, especially when it was extensively abused. Due to the risk of coma and death as the brain tries to normalize, a medical professional in a PCP treatment program should be sought after to ensure complications are avoided. Due to cravings that are felt during the detox period, the risk of relapse is high, further leading to the need for professional supervision during this period. If a person is under supervision at a treatment center, their condition can be monitored and non-addictive medication can be given to assist with symptoms such as depression and anxiety to help them cope with the PCP withdrawal symptoms. Through the help of an addiction treatment center, a person can be given the tools they need to become drug-free. With a severe addiction to PCP, an individual would likely undergo a supervised detoxification to ensure a safe recovery. Once the majority of withdrawal symptoms are over, a patient will then begin their treatment. Detoxification alone is not adequate to avoid relapse. Through counseling and various treatment programs, the patient will learn new coping skills and relapse prevention techniques allowing them to be able to lead an addiction-free life.